In different seasons of my husband’s post-divorce period, we’ve had to implement two different shared parenting styles with his ex-wife. There was a period of time when we simply co-existed. We weren’t hostile, but we also didn’t work together. We sat on opposite sides of the bleachers, we were simply cordial with the smallest exchange of pleasantries at hand off, and we never referenced the other home in ours. Today, we all (Mom, Stepmom, Dad, Stepdad) communicate often, about schoolwork, punishment, and general parenting styles. We align on nearly everything, big or small. While our daughter has really thrived since we’ve begun co-parenting, she wasn’t hurt by our parallel parenting before. Sometimes co-parenting just isn’t in the cards; both houses aren’t willing to actively participate. And that’s okay. Parallel parenting is hands-down better than hostility. 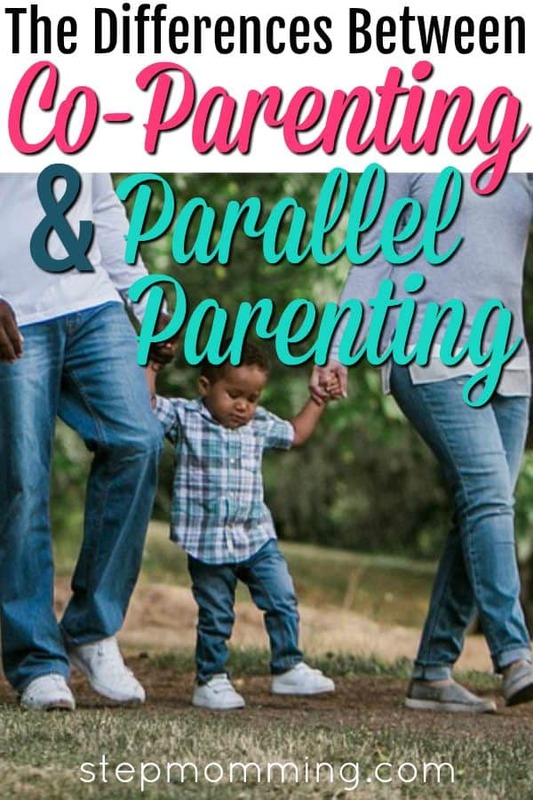 Co-parenting and parallel parenting are two ways in which you can parent a child with an ex-partner. You may have figured out by now that not all ex-partners like to parent the same. It’s important to be informed, so you can make the best decisions for your family. 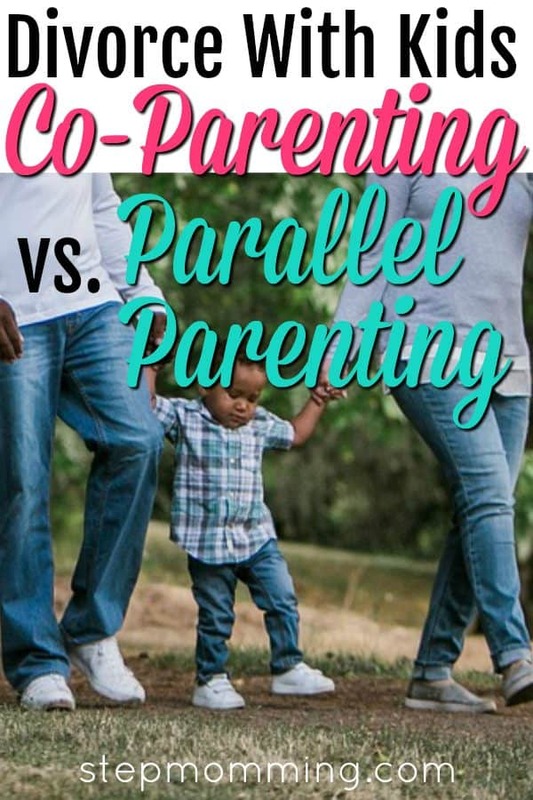 While there are some similarities in co-parenting and parallel parenting, they are mostly significantly different. 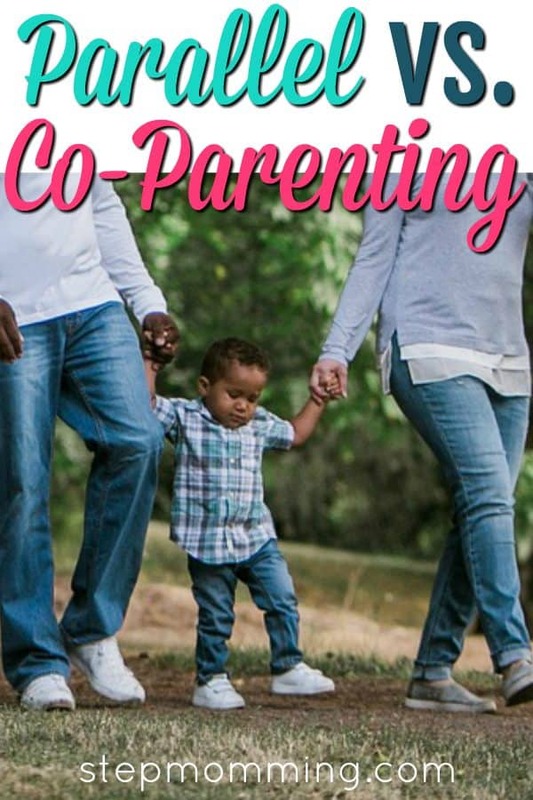 Co-parenting is when both parents are no longer romantically involved, married, or even living together, but still work together in the best interest of the child. This type of parenting style will not work for everyone though, as it involves a good amount of communication from both parents. Even though both parents are free to move onto new relationships, they still make decisions about their children together. They may even still go out together on family outings, depending on just how close the parents and new significant others are. This parenting style prevents kids from feeling as if they have to choose sides, because they still maintain a relationship with both parents. 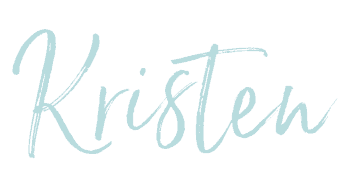 When each partner remarries, co-parenting then moves onto inviting the new partner in. At times, it can be 3-4 adults, parenting the same children. At this point co-parenting and communication becomes critical to everyone involved. 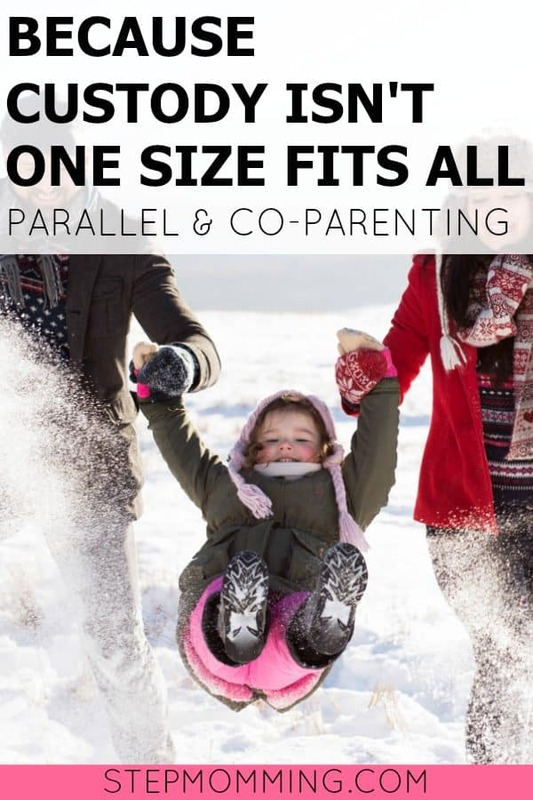 Parallel parenting is a unique style of shared parenting. When co-parenting doesn’t work, this may be the best or only option available. Daily communication between ex-partners may not be what is best for the child. While parallel parenting, neither parent involves themselves in the other parent’s day to day life or schedule. Details about personal lives are set aside and communication is strictly about the children. This helps to prevent future conflict. For those that wish to minimize communication with the opposite parent, sometimes schedules can even be shared through a calendar (or app!). Parallel parenting is great for those who wish to parent in the best interest of the child, but do not want to engage in constant communication with each other. With parallel parenting, parents become responsible for different areas of the child. For example, one parent may take over the educational side of things and the other will be in charge of the extracurricular. Parallel parenting does require parents agree on important things, but they don’t necessarily talk about the smaller things. A good example would be that the schedule at dad’s isn’t discussed between parents. Whether you are co-parenting or parallel parenting, do what works best for you and your family. And remember, this isn’t set in stone. You can change your style at any time. Put your children first and you can’t go wrong. I believe in you, Mama! 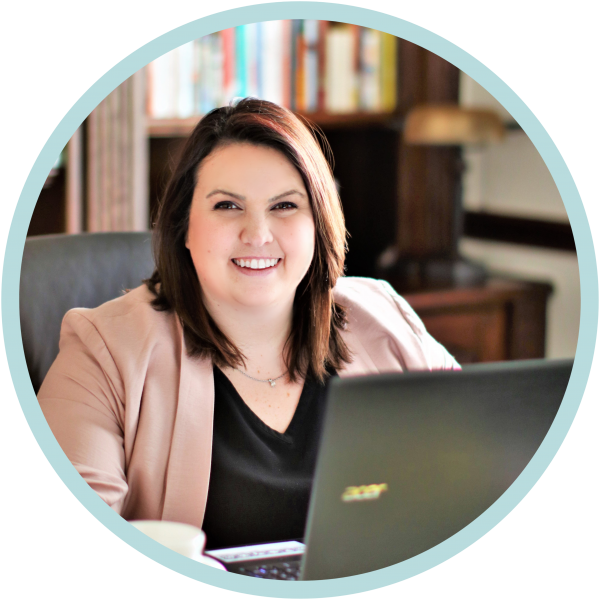 PS: Are you interested in learning more about common custody schedules? Maybe you’ll find one that speaks to you!